It is often easy to mistake one sort of activity for another when they at first glance appear to be doing the same thing. To the uninformed one sort of game may look much like another, one kind of race might look any other race, one song by Coldplay might sound like any other. That said, even a brief examination of these things will begin to highlight differences, differences in style, intention and approach. This is particularly the case with writing. At first glance all writing may appear to be doing the same thing, arranging words in order to communicate a message. Now that is of course fine, as far as it goes, but clearly it doesn't go far enough. We all know that there is a significant difference between composing a personal statement as part of a job application and writing a text message to a friend arranging a night out. A letter to your bank manager is going to sound considerably different to a message written in a Valentine's Day card expressing your undying love. As with most things we do, we need to think smart before we act and not just take the easy path of assuming that one approach to any activity will work at all times and for all things, without alteration. Who is routinely called upon to "report" back? - When we think of people "reporting" we often think of those in high pressured jobs. People in uniform, the police, firemen, paramedics, the military, for example, are often called upon to report back to their superiors, or others in their team.This should give us some idea about the nature of a report and its purpose. These are the people in films who are ordered to give a "sitrep asap!" or a situation report as soon as possible. Why do people "report"? - Taking the examples given above one of the obvious reasons why people are asked to "report!" rather than, let's say, "write a 2000 word essay!" is that a report is expected to be focused, efficient and concerned with the key facts. People report to get the basic information across as quickly and accurately as possible, as in the case of the uniformed services time and precision are crucial and lives are often at stake. What purpose does this serve? - From this we can see that while an essay will require us to explore, analyse, engage with research and critically discuss relevant data a report, more often than not, is asking us to cut to the conclusions. A report is essentially saying "I have done all the relevant research, you can find it for yourself if you like (always provide references to your sources) but, take my word for it, these are the key issues and this is what needs to be done about it in my view. 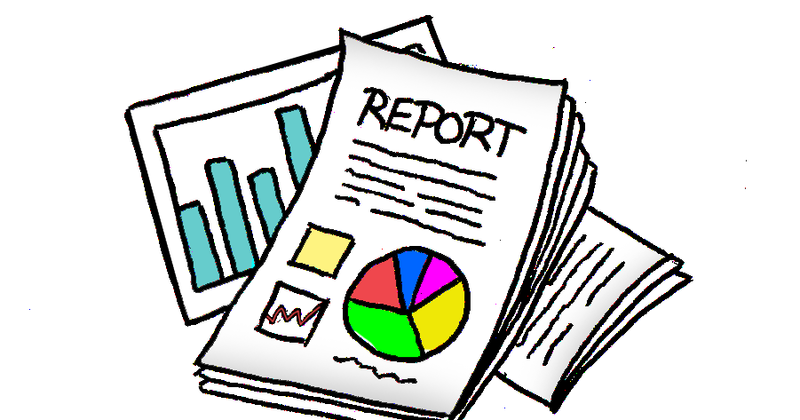 A report is a simple presentation of your findings, findings based upon research that does not have to be discussed at length in the report itself. Soldiers, for example, are sent out on reconnaissance, over difficult terrain and into dangerous environments so that other people don't have to and can get the highlights presented to them in the "report". Reports differ depending on context. A military report, a medical report and a legal report will have different purposes and different approaches. There are some key questions that need to be asked before starting on a report in your own subject area. Is your report contextually informed? – Most reports are only really complete when seen in the context of a particular country, or culture, or historical period. For example, a police report on the Jack the Ripper ​murders would not require a section on the suspicious lack of social media references to the crimes at the time they were committed. Is your report evidenced based? – The kind of evidence you choose to present in a report will be dependent on the kind of report you are writing. Quantitative and qualitative​ evidence are both valuable in certain contexts. If you are planning to present statistical evidence, or graphs and charts as part of your report, then the chances are you are going to need to gather quantitative evidence. Being able to report back that "80% of people questioned in a local branch of Greggs in a given working week were buying a steak bake" will require the numbers to back it up, either from your own primary research, or from a reliable secondary source. Being able to say that people bought steak bakes "because they enjoyed the taste" may simply require a range of quotes from people you spoke to. Is your report objective? – A report, to be credible and authoritative, needs to be based on verifiable data, not personal opinion, or prejudice. A report needs to be reliable, it needs to clearly present the sources of its data. In a police report, for example, it is no good claiming that a suspicious looking person was seen standing at a bus stop at 10pm on the 12th of August 2018, unless there is evidence to back it up such as an eye witness testimony, or a CCTV recording. A report is, very often, something that people will act on once they have received it, it is a call to action. If people do not have confidence in your report then they will refuse to act on it and the report fails. a summary, or abstract, of the contents of the report so as to give the reader a quick overview of what you have done. the main substance of the report containing the facts, figures and evidence necessary to fulfil the brief. the conclusion containing suggested action points. To be fair there is a lot of overlap between an essay and a report. They both require focus on a brief or problem, they both require careful attention to structure and evidence. Both essays and reports stand or fall on the quality of preparation and research conducted. However the differences are real ones. An essay is a more elegant form of writing, it works best when the writer is discussing, arguing and questioning. A report, on the other hand, is a more functional piece of writing and works best when it is presenting hard data based on clear evidence in an unambiguous way, leading to clearly focused recommendations..